Our preference is for long positions above 1.1450 with targets at 1.1515 & 1.1540 in extension. Alternative scenario is below 1.1450 look for further downside with 1.1410 & 1.1390 as targets. Our preference is for long positions above 1.3095 with targets at 1.3155 & 1.3200 in extension. Alternative scenario is below 1.3095 look for further downside with 1.3055 & 1.3015 as targets. Our preference is for short positions below 0.9955 with targets at 0.9915 & 0.9900 in extension. Alternative scenario is above 0.9955 look for further upside with 0.9975 & 0.9995 as targets. Our preference is for short positions below 109.10 with targets at 108.30 & 107.95 in extension. Alternative scenario is above 109.10 look for further upside with 109.40 & 109.75 as targets. Our preference is for short positions below 1.3175 with targets at 1.3115 & 1.3060 in extension. Alternative scenario is above 1.3175 look for further upside with 1.3220 & 1.3260 as targets. 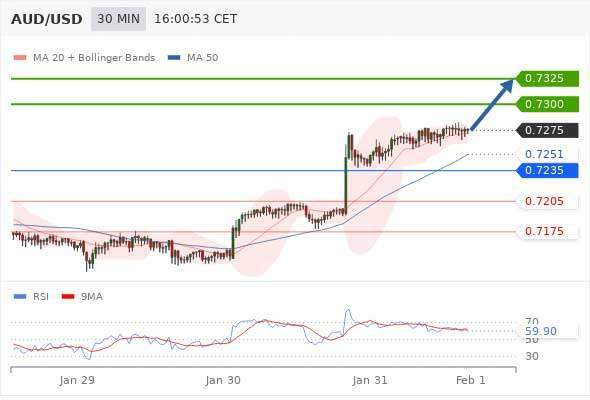 Our preference is for long positions above 0.7235 with targets at 0.7300 & 0.7325 in extension. Alternative scenario is below 0.7235 look for further downside with 0.7205 & 0.7175 as targets.